We are strongly committed to you and to ourselves in maintaining the highest quality in all of our products. That’s what we dedicate our knowledge, efforts and technology to. We believe that there is no reason for you to expect less. And because that is the only way we can satisfy our own passion: Give our name to the best coffee. This system is geared to assure customers of Cabrales S.A. that this company applies a method by which ensures that the quality of their products are not a coincidence, but rather a consequence of the correct and proper application of this method. The audit undertaken by SGS system certification assessed the correct implementation and operation of the system, giving Cabrales S.A. the international certifications attesting to the recognition to the ISO 9001:2008 quality standards. HACCP (Hazard Analysis and Critical Control Point), is a tool that is used to ensure the safety of the food. This control system responds to a HACCP plan. The HACCP plan consists in the analysis of the manufacturing process, where it is determined the points to be checked to ensure that the final product will comply with the standard microbiological, physical and chemical set. Our company has incorporated this system, being one of the first Latin Americans companies to obtain the maximum international certifications attesting to the correct implementation of the system. Cabrales has obtained the kosher certification, through the following products: cappuccino coffee, chocolate with milk, lemon tea, tea Mac Kinley, Tea Yellow Big Ben, Tea Lila Big Ben, Tea Apple Cinnamon, Tea 4 red fruits, green tea Mac Kinley YerVita, Yerba 3a brand, mix of herbs, Chamomile, Mint, Boldo and lime. 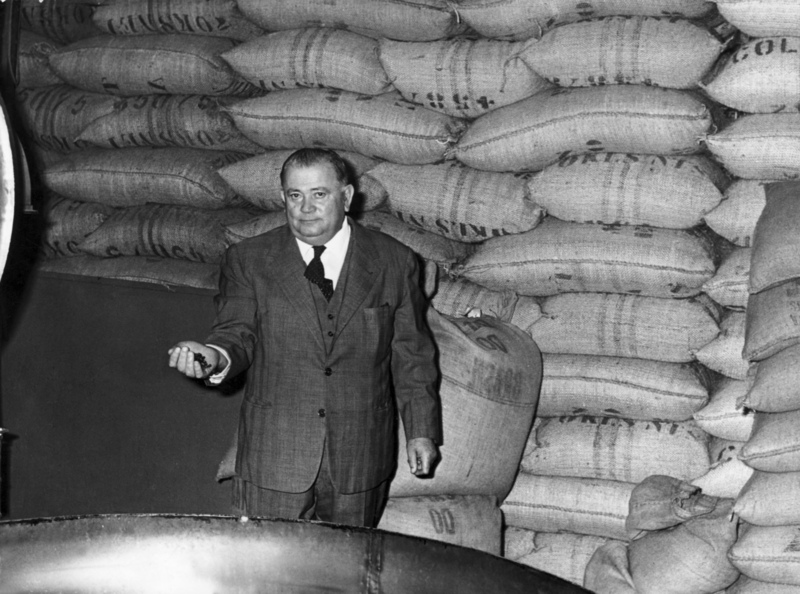 On november 10th, 1941, Don Antonio Cabrales Vega, an Asturian hard working visionary, inaugurates a store for selling coffee, named “La Planta de Café”. The store was founded after having acquired knowledge about the industry working in the company “Al Grano de Café” during his youth. In adittion to toasted coffee, the company introduced the production of toasted coffee with added sugar. “La Planta de Café” is launched. With a golden pack and the original coffee maker logo and a cup, this product was packed manually and hot sealed. Don Antonio’s sons detect the need to enlarge the facilities and buy land in Talcahuano 600, in the city of Mar del Plata. There, they put up a deposit and place the coffee machine. In that same place, two other products would be packed: “Tellevo” and “Big Ben” tea. This year the company goes under the care of their children and begins the expansion on a large scale. In 1972 land was bought near to Rivadavia’s store, where a foundation for 8 floors was built, with two basements and the sales room is enlarged with an innovative and very modern design. Several land terrains are annexed: Ayolas, then G. Matteotti and finally Irala, who come to shape the current plant Ayolas. In 1982 the second floor is added to the building in Rivadavia Street, where accounting and directory are installed. In April 1988 the offices and warehouses in Buenos Aires are inaugurated. The new structure in the Industrial Park Gral. Savio is opened, where the company continued its expansion adding high technology, changing the packaging, improving quality, adding new imported products and major brands. The signature is recognized at international level and the exports begin. November 18th the first Almacén de Licores store is opened in the street Alberti 1343, Mar del Plata. In December 1996 the building is enlarged with several meters of construction. On February the 21st, The Art Space Richard Hall was inaugurated as a meeting point for cultural events: painting exhibitions, photographs, books presentations, lectures, etc. That same year, in November, the second Almacén de Licores store in the street L. N. Alem. was opened. 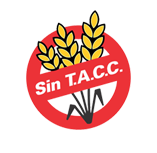 In 1998 we the company got ISO 9001 and HACCP system certifications due to the investments carried out in technology and staff training. During June the National Distribution Center in the Industrial Park was opened, where shipments to the entire country are coordinated and containers for abroad dispatch are prepared. During the same year another Almacén de Licores store is opened in the Shopping Los Gallegos. In December, 2001, the company took charge of the store in La Plata, to which reforms were made in January 2003. Top management of the company was handed over to the third family generation and is composed of some of the founder’s descendants. They are mainly concerned for the company growth and new product development with quality as a guiding standard for all the organization. On April 16th a new store was opened in Buenos Aires, Recoleta, where besides the company products and on-sight grounded coffee, there is a wide variety of delicatessen and imported high-quality products. During this year, together with La Serenisima, a ready to drink product line was developed: Cappuccino, Cappuccino Light, and Café Latte. In 2011 due to a joint-venture with Philips, a new coffee line for the Philips Senseo machines was developed. In different regions of the world, Philips has paired with the main coffee brands. This new venture implied an important investment for the company, acquiring new Italian machinery, developing new packaging, and staff training. A new store is opened on the cultural and commercial walk “Aldrey” in Mar del Plata. During 2015 an automation project was implemented in order to improve our product’s quality, plant productivity and the everyday work of our staff. We improved our products presentations and enlarge our productive capacity. This meant being able to increment our stock and being able to satisfy our growing demand.